At Selleck Pool Inc., our experts have over 35 years of experience and sonic equipment for effective leak detection, isolation and repair. We even provide this service to other swimming pool companies! 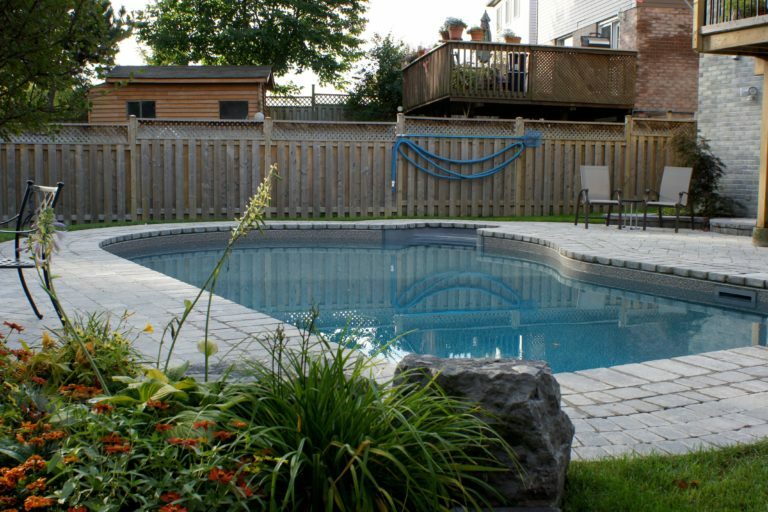 Selleck Pools Inc. is certified as a swimming pool and spa operator with the National Swimming Pool Foundation, a member of the Pool and Hot Tub Council of Canada and registered with the Technical Standard and Safety Authority. We have a PADI certified advanced scuba diver to offer premium leak detection services. All pool leak repairs come with a warranty for the ultimate peace of mind. The most common sign that you are losing water from the pool is that water levels appear to be decreasing. You can confirm a leak by marking the initial water level and checking it after 24 hours. Our swimming pool repair specialists can then help you locate the leak and implement the necessary measures to eliminate it. For a standard concrete deck leak repair, we cut the concrete deck and remove stones to expose the leak. Leak detection for a pool with patio stone or interlocking deck is often less expensive than leak detection for a standard concrete deck. In most cases, with very little digging, we can expose the pool leak and begin the repair. When more than one plumbing leak exists in the same line, a quotation will be presented at the time of discovery. Our experts will re-test the repair, backfill the hole and re-concrete or replace the patio stones. The experts at Selleck Pools Inc. are here to assist you with fast pool leak detection and warrantied repairs. Call 416-724-8649 or fill out our online contact form! We offer our sonic pool leak detection and repairs in Scarborough, Ajax, Pickering, Markham and the surrounding areas.